2012. Copywriting, content strategy. 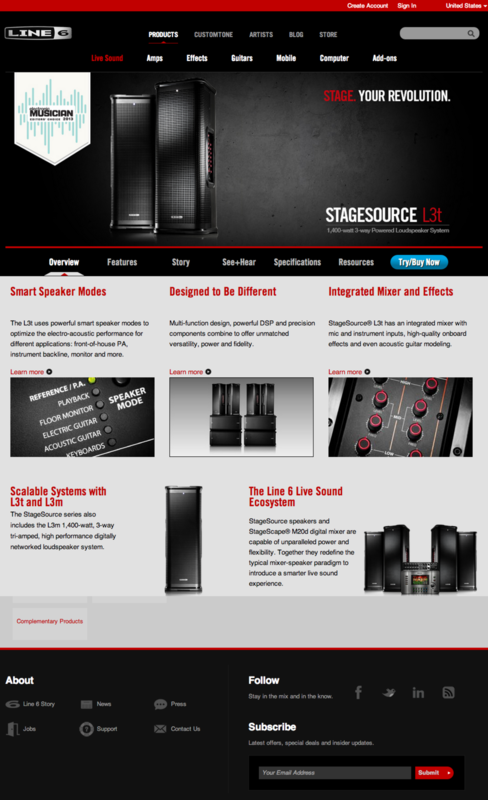 StageSource L3t loudspeakers push speaker design way into the future. They "talk" to each other, make excellent additions to live sound systems and can even be used as guitar amplifiers. Unique feature sets like this always present an interesting content strategy challenge – what do you lead with? In this situation, the obvious choice was the USP. If you start with what sets your product apart, the rest often falls into place as its story unfolds.